Recent review: This guy was truly Santa. Perfect demeanor, great outfit, on time, very kind. House visit to a 5 year old. Their will be around 6 kids who were are trying to suprise with Santa ! 2 of the kids parents aren’t going to be there due to them having surgery in New York. But it’s a max of 15 family member ! Christmas is one of the most magical times of the year, and nothing will light up your little one's face like a visit from Santa Claus! 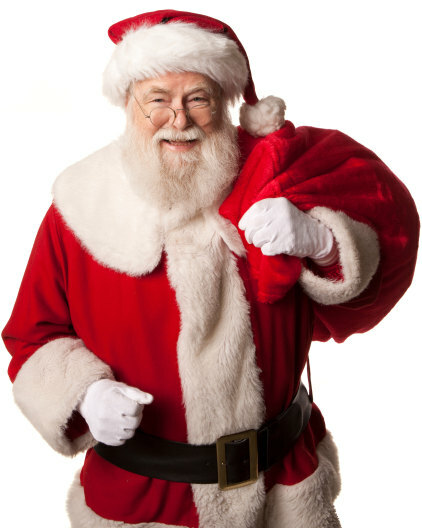 Straight from the North Pole, Santa brings a jolly demeanor and bright red suit. He's happy to listen to Christmas wishes, take photos, eat cookies, and pass out presents! If you're on the nice list, Santa may even read "'Twas the Night Before Christmas" for your party guests. Santa Claus isn't just for kids, though! Adults love him too, and he can help pass out eggnog or just take fun photos at your holiday party. Whatever you're planning, your Christmas party isn't complete without a visit from Ol' Saint Nick! Search for Santa Clauses in Charleston, South Carolina above. Please note that these Santa Clauses may also travel to Queensborough, Sullivans Island, Folly Beach, Isle Of Palms, Lakeview, Johns Island, Hanahan, Charleston Afb, Kiawah Island, Ravenel, Wadmalaw Island, Huger, Ladson, Awendaw, Seabrook Island, Hollywood, and Meggett.